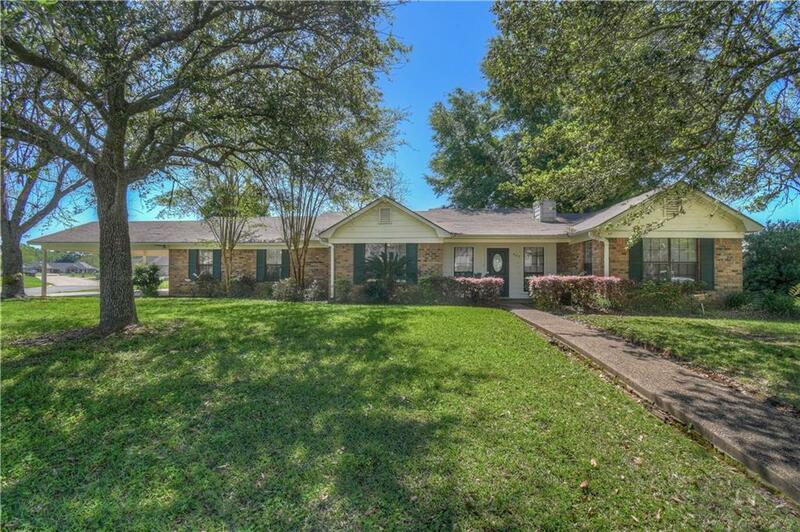 This nice East Natchitoches location is close to shopping and medical and sits on a nice corner lot. Freshly painted throughout with new lighting. You will find a very spacious den along with a living room with a vaulted ceiling and a large corner fireplace. Built in cabinets in the living room and den areas for storage and display. Separate dining room and a breakfast area. The kitchen has smooth Corian or similar countertops in the kitchen with a ceramic tile backsplash. Nice oak cabinets throughout the home. The kitchen features a center island for cooking with a large hood system. Split floor plan. Very large master bedroom with a large walk in closet. Security system. 2 central a/c and heating units. Nicely landscaped yard, covered back patio and a large privacy fenced back yard with 2 storage buildings that stay with the property. Lots of storage and space! Move in ready! Call today to view this spacious family home. Directions: Turn On Cherokee Street Off Of Royal Street. Turn Right At The Stop Sign. House Is On The Left At The Corner Of Jason Lane And Oakland Drive.